When Victoria was born in 1819, it is said that carols were only sung in a few isolated communities in rural England. Oliver Goldsmith (1731-1774) wrote that the parishioners of The Vicar of Wakefield (1766) "kept up the Christmas carol." A writer in the Gentleman’s Magazine for May, 1811, wrote that in the area known as North Riding in Yorkshire, he was awakened about 6 o’clock on Christmas Day "by a sweet singing under my window," and looking out he saw six young women and four men singing. "I had scarcely got into bed when a strain of music seemed to break forth in the air just below the window. I listened, and found it proceeded from a band, which I concluded to be the waits from some neighbouring village. They went round the house, playing under the windows. "I drew aside the curtains, to hear them more distinctly. The moonbeams fell through the upper part of the casement, partially lighting up the antiquated apartment. The sounds, as they receded, became more soft and aerial, and seemed to accord with quiet and moonlight. I listened and listened--they became more and more tender and remote, and, as they gradually died away, my head sank upon the pillow and I fell asleep." Washington Irving’s Dietrich Knickerbocker’s History of New York (New York, 1806), which featured dozens of references to Christmas and the Dutch St. Nicholas (available in two volumes from the Electronic Text Center, University of Virginia Library: Volume 1 and Volume 2). Charles Dickens' 1836 book Sketches by Boz that contained a chapter called A Christmas Dinner. Charles Dickens' 1837 Pickwick Papers that contained a chapter called A Good Humoured Christmas. Charles Dickens’ A Christmas Carol (London, 1843)7, The Chimes (London, 1844), The Cricket On The Hearth (London, 1844), The Battle of Life (London, 1845), and The Haunted Man (London, 1846), plus The Holly Tree and numerous Christmas stories. When critics allege that Christmas was "reinvented" by Washington Irving and Charles Dickens, they are correct. The country squire of "Bracebridge Hall" simply no longer existed. The secular celebration of Christmas has to be "reinvented" in order survive. This is not to say, of course, that the Victorians, or people today, could not adapt the traditions of the 12 Days of Christmas -- December 25 through January 5 -- to their current situation. A lengthy article by Elsa Chaney shows how to "reinvent" a family's Christmas at any time. 2. From "Christmas" by Washington Irving, The Sketch-Book of Geoffrey Crayon, Gent. (1819-1820). A number of sources have charged that Irving had never seen a holiday celebration such as was depicted in Sketch Book. See Nissenbaum, page 58 and "The Real Story of Christmas," The History Channel. 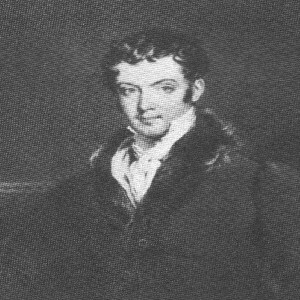 In 1815, Washington Irving made his second trip to Europe, expecting to be absent for only a few months (although he remained abroad seventeen years). He first stayed with his sister Sarah and her husband in Birmingham, England. According to the curators of nearby Aston Hall, Irving stayed at the Hall and used the Hall as his inspiration for "Bracebridge Hall." Coincidentally, Mary, the daughter of the last owners, was married to Abraham Bracebridge; the couple lived at Aston Hall before James Watt, Jr., leased the Hall in 1818. There is also a Bracebridge Pool in nearby Sutton Park. Irving’s notebook of 1818 included details about Aston Hall which are also found in Sketchbook, including that the hall was found at the gateway to a park, that the porter’s lodge was sheltered under trees, of a church spire rising, and of an old oak gallery. See Birmingham Assist, Irving and Aston Hall quoting Stanley T. Williams, The Life of Washington Irving, 1935. In addition to his stays in Birmingham, Irving also toured other parts of England, Wales, and the Highlands of Scotland during this time. See Evert A. Duyckinck, Cyclopaedia of American Literature, (New York: C. Scribner, 1856), quoted at University of Virginia Library Web site. "At the time of the first publication of this paper, [The Christmas Dinner, in The Sketch-Book,] the picture of an old-fashioned Christmas in the country was pronounced by some as out of date. The author had afterwards an opportunity of witnessing almost all the customs above described, existing in unexpected vigour in the skirts of Derbyshire and Yorkshire, where he passed the Christmas holidays. The reader will find some account of them in the author's account of his sojourn in Newstead Abbey." --Note to revised edit. of The Sketch-Book, New York, 1848, p. 298. During my recent Christmas sojourn at Barlboro' Hall, on the skirts of Derbyshire and Yorkshire, I had witnessed many of the rustic festivities peculiar to that joyous season, which have rashly been pronounced obsolete, by those who draw their experience merely from city life. I had seen the great Yule log put on the fire on Christmas Eve, and the wassail bowl sent round, brimming with its spicy beverage. I had heard carols beneath my window by the choristers of the neighboring village, who went their rounds about the ancient Hall at midnight, according to immemorial custom. We had mummers and mimers too, with the story of St. George and the Dragon, and other ballads and traditional dialogues, together with the famous old interlude of the Hobby Horse, all represented in the antechamber and servants' hall by rustics, who inherited the custom and the poetry from preceding generations. The boar's head, crowned with rosemary, had taken its honored station among the Christmas cheer; the festal board had been attended by glee singers and minstrels from the village to entertain the company with hereditary songs and catches during their repast; and the old Pyrrhic game of the sword dance, handed down since the time of the Romans, was admirably performed in the court-yard of the mansion by a band of young men, lithe and supple in their forms and graceful in their movements, who, I was told, went the rounds of the villages and country-seats during the Christmas holidays. I specify these rural pageants and ceremonials, which I saw during my sojourn in this neighborhood, because it has been deemed that some of the anecdotes of holiday customs given in my preceding writings, related to usages which have entirely passed away. Critics who reside in cities have little idea of the primitive manners and observances, which still prevail in remote and rural neighborhoods. "The accuracy of his pictures of old English customs and sports, which he represents as flourishing under the influence of the benevolent squire, has been questioned, we know, by suburban readers: in our opinion, and according to our experience, there is nothing too highly coloured in them. [The writer then proceeds to prove his position.] We think, therefore, that, far from exceeding the limits of probability in this respect, Mr. Irving has hardly made the full use of northern customs which was really open to him. Nor can we see any thing overdrawn in the characters themselves."--Lon. Quar. Rev. xxxi. 476, 477, March, 1825.